Boulder schools lead the nation in equitable learning, but can social and political turbulence endanger such progress? This article originally appeared in Yellow Scene Magazine. As many Americans struggled to cope with the reality of the 2016 presidential election results, a disturbing plague began to spread in our nation’s schools. Halls suddenly echoed with hate speech; property became smeared with tyrannical symbolism; and students experienced verbal and physical harassment unlike ever before. Now entrenched in what many education experts already referred to as “The Trump Effect,” such discrimination puts all students at risk. What’s most at stake is every student’s right to a supportive and equitable school environment regardless of income status, race, sexual identity, gender or disability. When the right to an equal education is under threat, what can be done to protect and maintain the social progress we’ve worked so hard to attain? To answer this question, we must consider two factors: how we evaluate schools, and how we define student success. In recent years, a rising chorus of voices has grown more active in its opposition of standardized testing, which serves as the traditional school evaluation model. Educators, students and parents are challenging standardized tests due to their negative impact on school climate. “What schools get recognized for they put their intentions toward. If a school is being held only accountable for its English language arts scores and its math scores, that’s what everyone is going to narrow the curriculum to,” said Michelle Renée Valladares, Associate Director of the National Education Policy Center, housed in the CU-Boulder School of Education. This parallels what might happen if we evaluate schools based on nonacademic factors, like the social and emotional wellbeing of students. In response to this pressure, new requirements for the Every Student Succeeds Act (ESSA), the primary bill guiding federal K-12 policies, will make it easier to quantify factors that determine student success. The reformed accountability system gives policymakers freedom to choose one or more of the indicators used to evaluate schools alongside the traditional academic indicators. To guide states in choosing the right nonacademic indicators, Elizabeth Meyer, Michelle Renée Valladares, and William Penuel of the CU-Boulder School of Education recently co-authored a policy memo titled Making the Most of the Every Student Succeeds Act (ESSA) — Helping States Focus on School Equity, Quality and Climate. Published by the National Education Policy Center, this set of guidelines informs state policymakers on how to choose indicators that evaluate the equity and opportunity of school climates. By equipping states with a broadened curriculum encapsulating safety and equity, this is intended to more aptly measure the educational opportunity gaps that exist between well-funded, affluent students, and those who have been chronically underserved. Meanwhile, as influencers and policymakers seek to redefine school success and performance on the state level, another project from the National Education Policy Center already recognizes schools with innovative approaches to inclusive, equitable learning. Schools of Opportunity, which awarded its first recognitions for the 2014–2015 school year, selects high-performing schools based on a series of criteria. These include a school’s ability to create and maintain a culture free of bullying, harassment and discrimination, support the professional needs of teachers, and build upon the strengths of language minority students, among a number of other nuanced benchmarks. For the 2015–2016 school year, Boulder Valley School District’s New Vista High School earned a silver recognition for its alternative high school model. New Vista has a variety of nontraditional programs that empower students with a customized education shaped around their needs and interests. One New Vista’s most notable efforts is its Restorative Justice program — a student-run organization that collaborates with staff, administrators and community members to devise more constructive solutions to disciplinary matters. 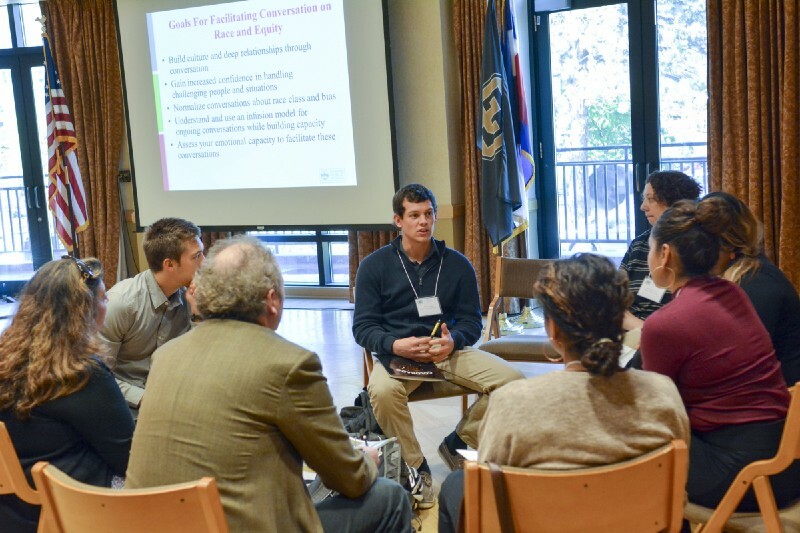 Elsewhere in Boulder, school administrators at Boulder Valley School District and St. Vrain Valley School District have worked to achieve a more equitable school climate through teacher training programs like A Queer Endeavor. 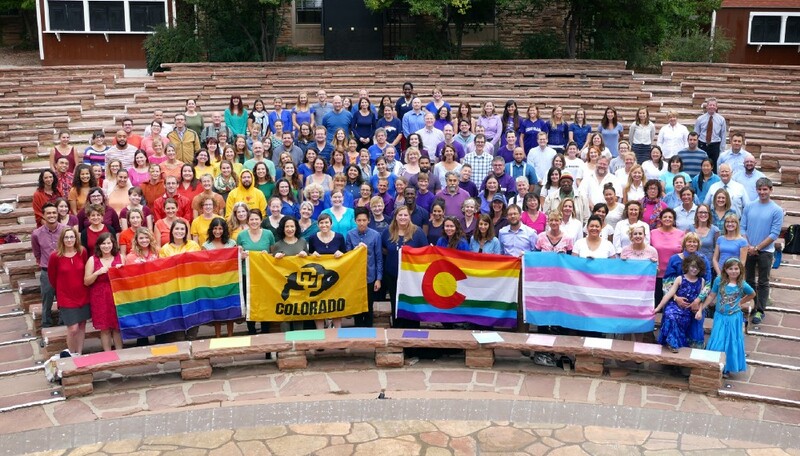 Led by Bethy Leonardi and Sara Staley and housed in the CU-Boulder School of Education, A Queer Endeavor provides professional development workshops and institutes that help teachers, administrators and staff focus on knowledge building, critical self-reflection, dialogue and practice to create safer schools that are more affirming of LGBTQ and gender expansive youth. At Douglass Elementary in Boulder Valley School District, Jonathan Wolfer said he’s proud of his school district for its efforts in gender diversity, including its work with A Queer Endeavor. Wolfer noted that the program shed light on sobering issues facing the LGBTQ student community — like the fact that suicide rates and suicide attempt rates for students who identify as LGBTQ are often 10 times the national average for all youth. That such issues begin in kindergarten, when most students are just five years old. Wolfer noted that the students in his elementary school have the option to use a boys restroom, a girls restroom, or a gender-neutral restroom. He also explained that this is just one of many ways in which schools can promote safety and acceptance. St. Vrain Valley School District superintendent, Don Haddad, said that his district works hard to create and maintain an equitable, high-quality culture within every school. SVVSD has implemented positive behavior, speciality training and intervention programs, such as Rachel’s Challenge. This nonreligious, nonprofit, nonpolitical intervention program was founded in memory of Rachel Scott, the first murder victim of the Columbine High school shooting in 1999. Led by Rachel’s parents, the program seeks to eliminate bullying in schools through practices that promote kindness and respect. Haddad also said that SVVSD pays special attention to hiring teachers and staff that are well-equipped to handle instances of discrimination. “We have counselors in our building from elementary school through high school, and we also have interventionists, school psychologists and a host of people who are there to promote the wellbeing of children.” Hiring qualified staff is an exemplary step towards achieving an equitable school climate, but as Haddad points out, SVVSD has access to the resources that make such a workforce possible. When one assesses the resources available to each of the 178 school districts across Colorado, a high level of disparity exists. For many schools, lack of funding prevents the implementation of programs that would address the dynamic needs of students from different backgrounds. Now faced with the implications of Governor John Hickenlooper’s proposed $45 million dollar budget cut to school districts statewide, educators are left scratching their heads. If schools can’t afford to update course material, improve aging infrastructures and maintain qualified teachers in an increasingly underpaid profession, how can they be expected to dedicate additional resources towards anything else? Staley also explained the importance of more subtle actions, like hanging a rainbow flag in the classroom. Some students may overlook such a gesture, but it might be a key instrument in helping other students feel more safe and included. It also has the potential to generate critical conversations and answer difficult questions that students can’t ask elsewhere. Valladares agreed that a more diverse curriculum is achievable with little to no resources. “Sitting down and choosing books that are more diverse doesn’t cost you any extra money.” Valladares also noted the importance of free teacher resources such as tolerance.org — which provides resources for incorporating diversity, equity and justice into lesson plans — and the Anti-Defamation League’s booklist, a database of multicultural books designed to expose children in grades K-6 to new perspectives and experiences. While there aren’t many examples for how to best create equitable school climates, Staley said that A Queer Endeavor’s achievements in Boulder schools do serve as a model for the rest of the country to follow. Seeking out programs that implement lasting, systemic change is invaluable not only to schools and students, but to the American society as a whole. When we reflect upon our own upbringings, we can agree that school played a primary role in defining how we interact with people who think, look, love and believe differently than ourselves. And while a recent surge in discriminatory behavior at schools paints a dismal, disheartening future, Meyer maintains exactly the kind of unwavering optimism needed during such turbulent times. “Increased attention on incidents of bias and harassment in schools and nationwide is a painful learning opportunity for the state of our nation. We can turn crisis into opportunity by surfacing all of these issues that have been under the surface; we can more explicitly address some of the challenges head on,” added Meyer. As education experts, policymakers and teachers work together to make schools more equitable, instances of discrimination should be viewed as opportunities to remind students how to practice kindness, empathy, and tolerance — because the willingness to uphold these values amidst adversity is what has always made America great.